Scapulo-humeral recoaptation without immobilizing the shoulder. Scapulo-humeral subluxation following a coapting muscle paralysis (flaccid hemiplegia, brachial plexus injury). Make two cuts in the pattern as shown above. 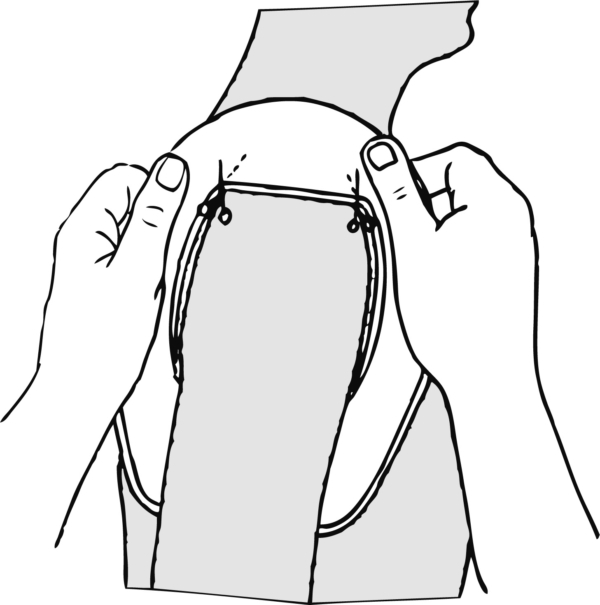 Pass the arm through the orthosis and move the orthosis up to the shoulder. 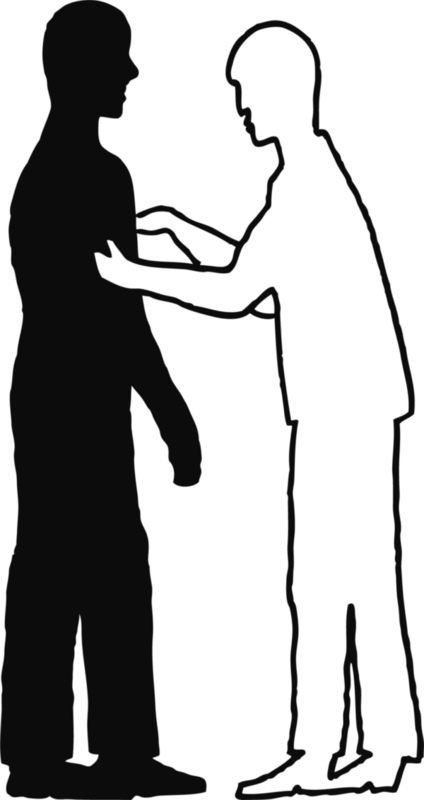 Form a perfect cast around the shoulder and the chest. Before the material hardens, refold the outer edge in order to obtain a small channel. Place the wet pattern, then the arm, on the worktable. 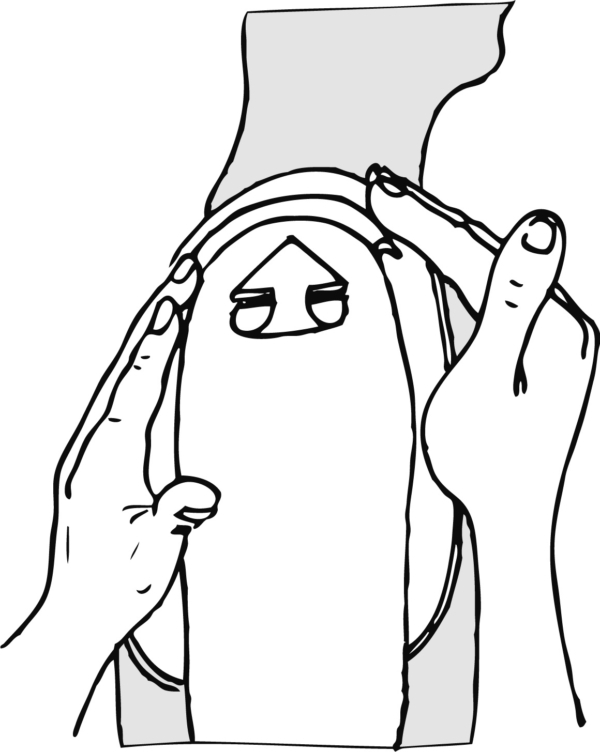 Wrap a non-adhesive bandage around the orthosis. Join and stick together the two tabs at the back. Make two holes at the front and one at the back. Pass a strong nylon thread through the front holes and tie a knot which will subsequently be covered with the chosen material. 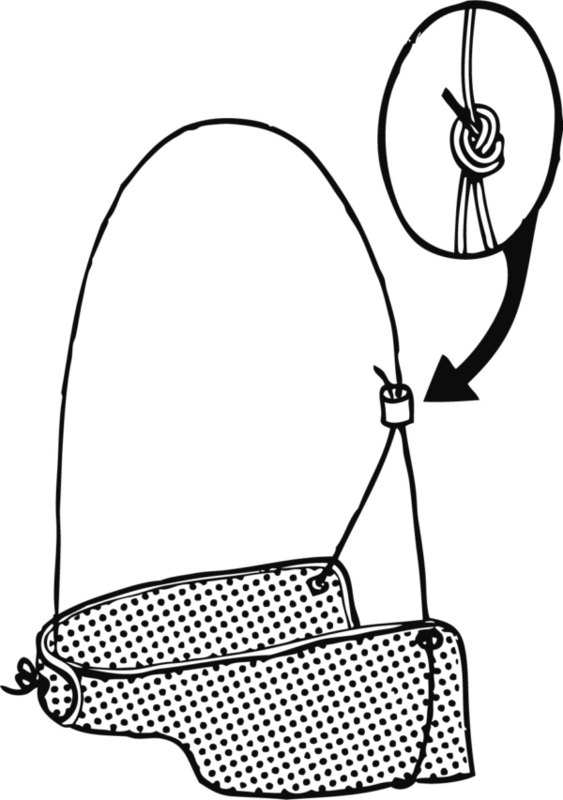 Pass the long end through the back hole and tie a knot at the desired length. Finishing: Smooth the edges and put padding on the part in contact with the shoulder cap. 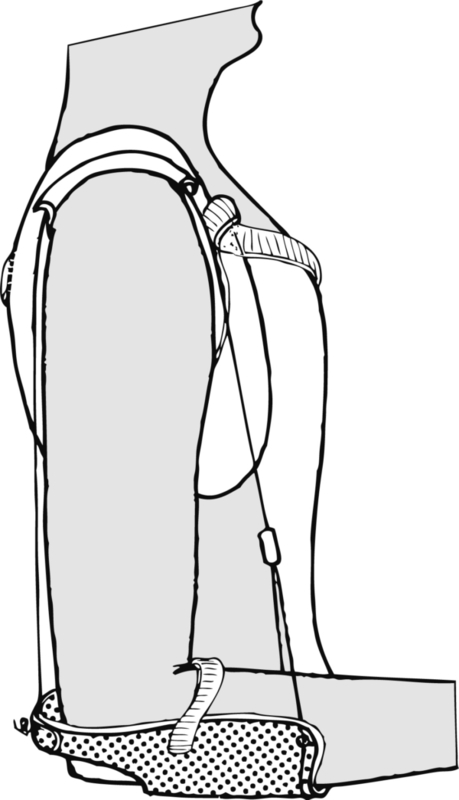 Attach the strap with a self gripping strip; the loop portion starts from the back (rather high), circles the chest and is attached to the self-adhesive closure located at the same height in front of the strap. 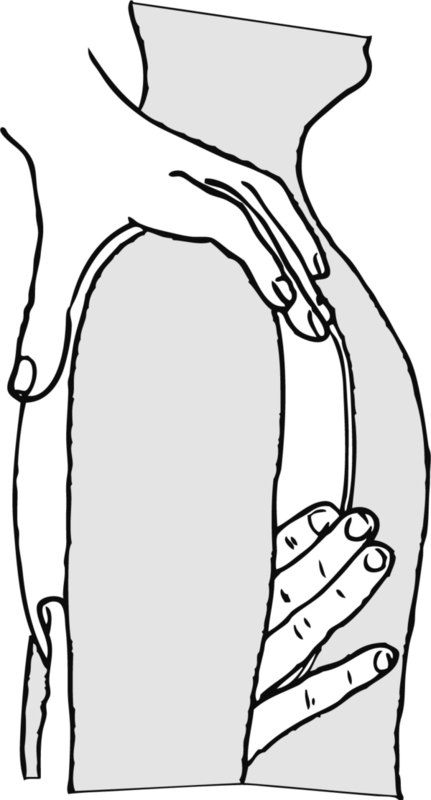 Attach the elbow cradle with a self-gripping strip placed right next to the elbow.